This is the Dynamite Metric Startup Tool Set. 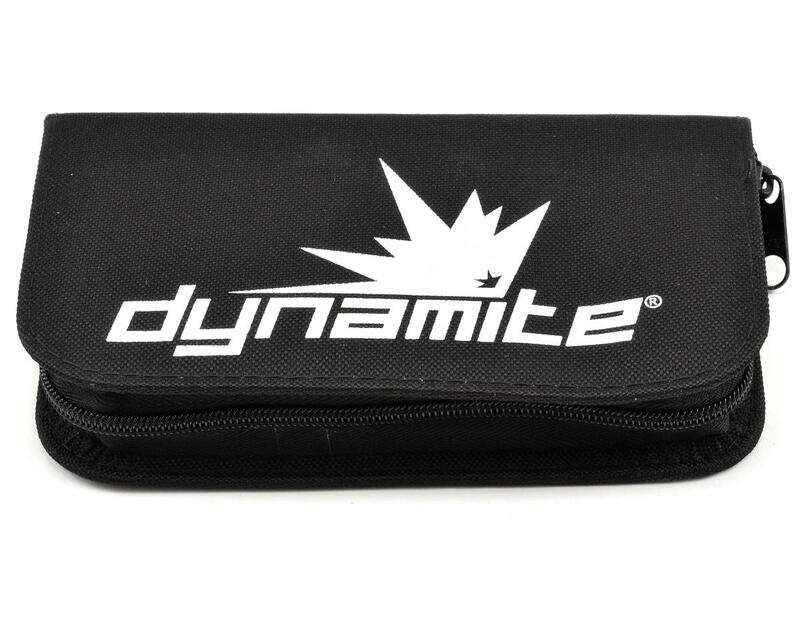 Dynamite’s startup tool sets come in either metric or US sizes and are packaged in a convenient zipper pouch providing users with the ultimate in utility and flexibility. 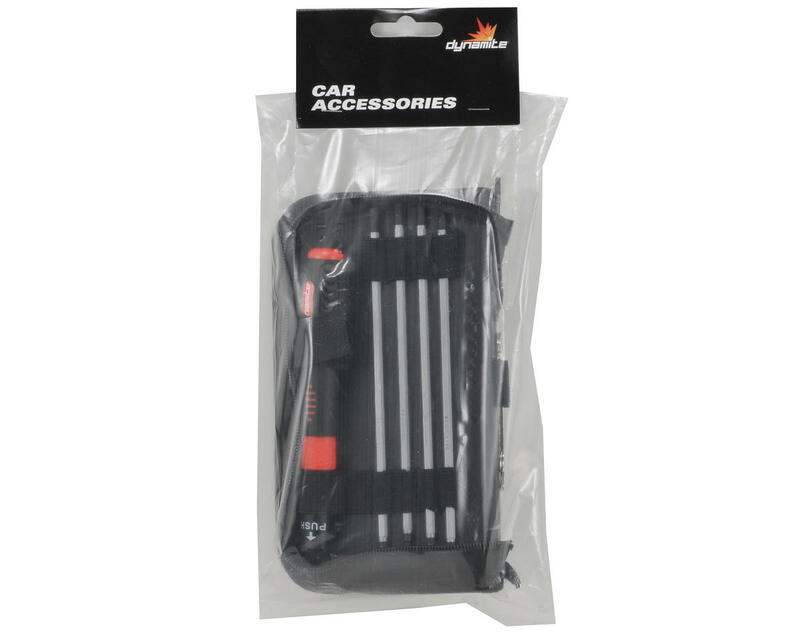 Containing almost every tool needed in order to maintain a vehicle these tool sets are the perfect add on for users looking for an easy and affordable tool set for their RC collection. A very nice set, one piece came deformed out of the box but A Main Hobbies was kind enough to send another replacement right away once I sent them a photo of the part. Great customer service. 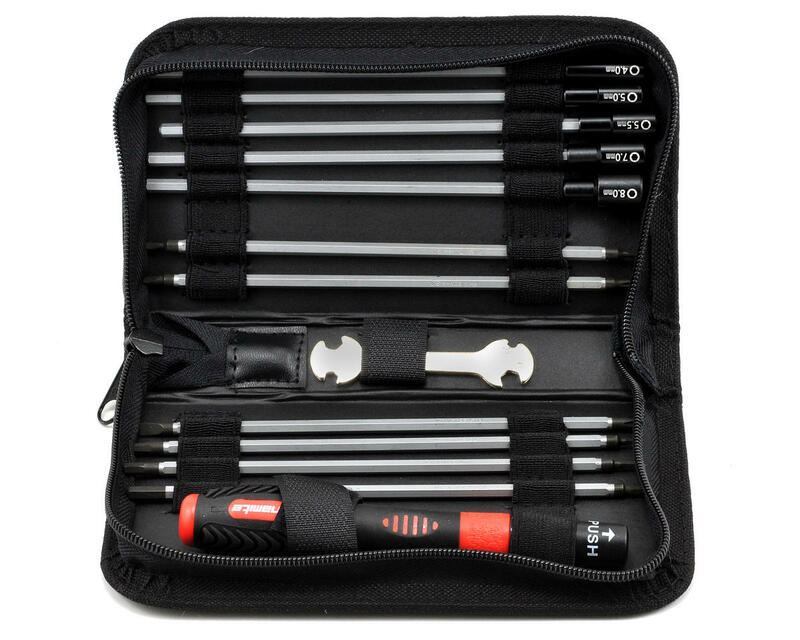 Also, the tools look sturdy enough, hope they'll last a long time. There are no magnets on tips. The locking mechanism seems a bit revolutionary to me, holds the tip very tight and secure. Overall I give this set 9.0 over usability/ergonomics, 8.5 over toughness and 10.0 for the price. The rubber bands holding the parts might have been applying less tension though, taking a tip out and placing it back in seems a little bit hard. PRO:This is a good startup set or a backup set. CONS: you can't torque too hard with the handle. The ratcheting system will wear out if you do. The hex tips wear out fast. It's a pretty good set but the tools can be a little pain to get into the handle sometimes. The handle stripped out pretty quick after I bought it but Dynamite sent me another, no questions asked. The handle sucked but for the customer service I'll give it 4 stars. Bought this locally. Thought I would have replaced it by now, but it really does cover everything I've needed and it does the job alright. The driver could be a little nicer, getting bits in can be a little fidgety, but the ratchet mechanism has held up just fine even if it is a bit too easy to nudge its setting. Eventually I'll pick up something a little more stout, but no need too yet.